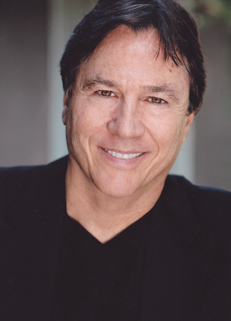 Richard Hatch has enjoyed international recognition for more than three decades. He has starred in such series as The Streets of San Francisco for which he won Germany’s Bravo Award (the equivalent of an Emmy Award), Battlestar Galactica, for which he was nominated for a Golden Globe award and the role of Philip Brent, which he originated on ABC’s All My Children. Richard just finished playing the role of Tom Zarek in the new re-imagined version of Battlestar on the Sci-fi channel for the past four years and has just written a BG manga for Tokyopop focusing on his character. His most recent feature “THE POD” was just completed and last Summer and he also played the starring role of a ex- mafia street priest in “DEAD BY FRIDAY”filmed last May. His directing credits include the iconic “Second Coming” BG movie trailer in addition to movie trailers for his forthcoming pet project (Magellan) and was hired to write, produce and direct a NSAS infomercial for the securities industry. He is currently directing a movie presentation for the film “WHITE WINGS” in Logan Utah. His stage credits include starring off-Broadway in several plays and musicals, including the Obie Award winning play “Love me love my children”, PS, Your Cat Is Dead in Chicago, and the musical Pepper Street and “The Name Game” in Los Angeles. Additional credits include starring in such movies for television as The Hatfields And The McCoys with Jack Palance, Addie And The Kings Of Hearts with Jason Robards, Last Of The Belles with Susan Sarandon, The Class Of ‘65, The Hustler Of Muscle Beach, and the cult classic Deadman’s Curve, in which he portrayed Jan Berry of the musical group ‘Jan and Dean’. He has also guest starred in numerous television series and feature films, including Charlie Chan and the Curse of the Dragon Queen with Michelle Pfeiffer and “The Ghost” with Michael Madsen and Brad Dourif. He just completed filming Inalienable written by Walter Koenig. He can also be heard voice acting on the new Sony Playstation 2 Battlestar Game. In addition Richard has co-written seven Battlestar hardback novels for I-books including his most recent“Redemption”. Richard formed a new production company “Merlinquest Entertainment Inc”, in 19995 for which he has written and produced a new Sci-fi/fantasy story entitled “The Great War of Magellan”, for which both a table top version and online social networking game will debut this Summer. The online MMO is set to debut late next year. A graphic novel version of Magellan is being currently being produced and will make its debut next May. A theatrical trailer for Magellan has just been completed and will be screened at convention worldwide this summer. In between acting and writing gigs Richard teaches and lectures all over the country on “Acting and Directing for The Camera”, “Acting From The Heart” “Overcoming Fear” Unleashing your Power and Creative Vision” and “Everything you ever wanted to know about the Entertainment Industry” The Art, Craft, and Business of the Entertainment Industry, “Learn cutting edge secrets to a successful career in writing, acting, directing and producing”.